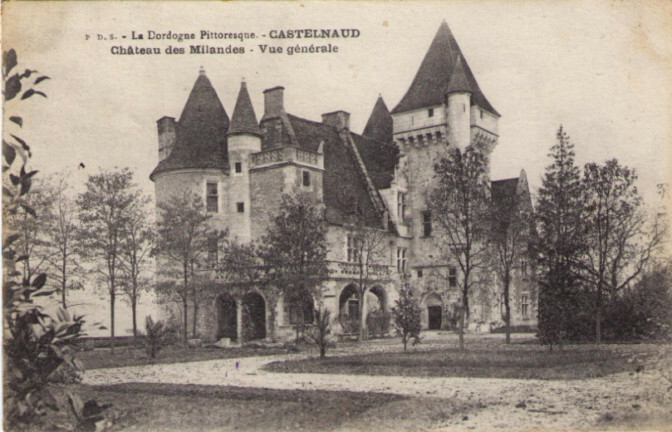 Known worldwide thanks to Josephine Baker, the Milandes Castle remained the undisputed home of the Caumont family until the French Revolution. Built in 1489, this charming castle with its magnificent Gothic features is a great example of Renaissance architecture. The Caumonts, an eminent family of the French aristocracy and the original owners of a fief in Lot-en-Garonne dating back to the 10th century, settled in Perigord in the fortress of Castelnaud after the marriage of Nompar IV of Caumont to Jeanne de Castelnaud. The austerity of this fortress convinced the Lord François de Caumont to build a more romantic castle for his wife, Claude de Cardaillac bringing rooms alive with more light. With beautiful stained-glass in its mullioned windows, and rooms opening onto the valley, the castle became the permanent residence of the Caumont family. 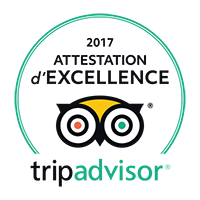 To this day, it still retains all its medieval splendour with architectural features such as turrets, a winding staircase and gargoyles. The castle was lived in throughout the 16th century but the family’s conversion to Protestantism overturned the peaceful harmony of the “Sleeping Beauty”. 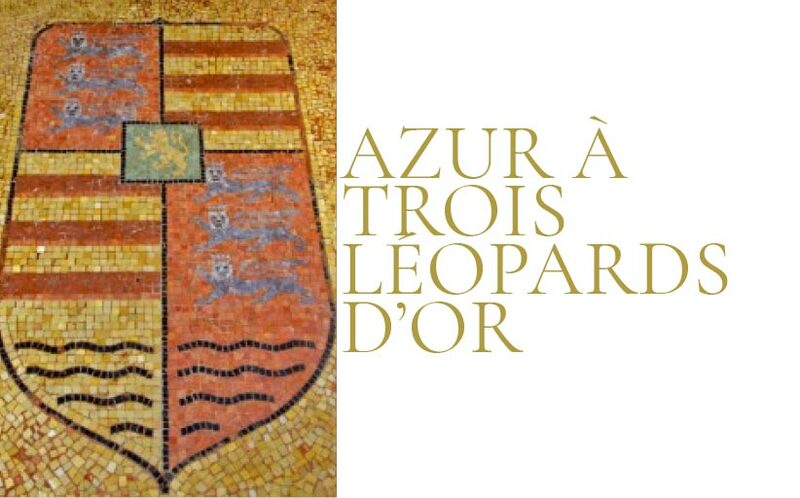 The Caumont family coat of arms: Azure with three golden leopards… this mosaic can be seen in one of the ground floor rooms of the Castle, installed by Josephine Baker in 1950 as a tribute to the first owners. The Lords of Caumont were strong critics of the Catholic religion, especially François’s son Charles and grandson Geoffrey. 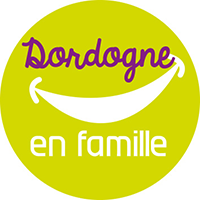 The latter married Marguerite de Lustrac, the Marquise de Fronsac, and a wealthy inheritor of one of the most beautiful parts of France. Both resided at the Milandes Castle. Another iconic character who lived in Milandes during the 17th century was Jacques Nompar de Caumont, a descendent of François. He accompanied his parents to the wedding of Henri de Navarre and Marguerite de Valois, the sister of Charles IX. The following night, 24 August 1572, came the St Bartholomew’s Day Massacre; Jacques miraculously escaped the death of his family following their conversion to Protestantism. 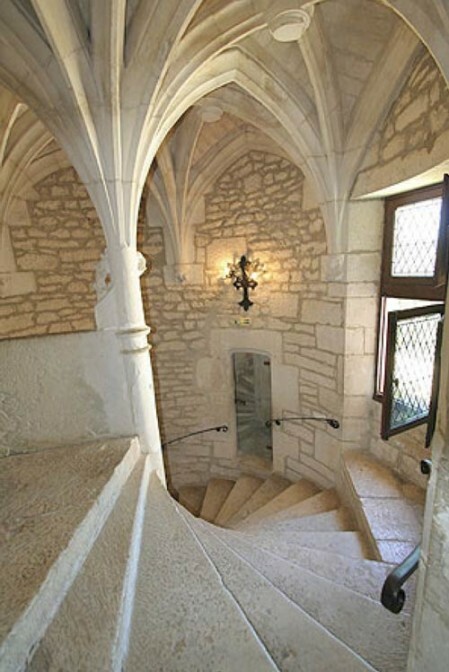 He was taken to Milandes Castle by his uncle Geoffrey and aunt Marguerite de Lustrac, but in 1578, the Catholics imprisoned Geoffrey and took over the castle. Following this, Henri de Navarre sent one of his servants to protect Jacques Nompar. Geoffrey and Marguerite’s daughter Anne was banished from Castelnaud and disinherited by her mother for marrying a Catholic. This is how Jacques Nompar inherited Milandes, maintaining it until his death in 1652 at the grand age of 93! 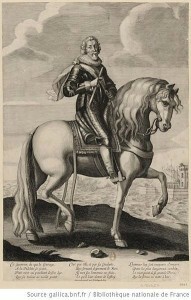 He was named Maréchal de France in 1622 and became a Duc and peer in 1637. He often stayed at the castle and was one of Henry IV devoted servants. Subsequently, his descendents kept the Château but left it up to the farmers to work the land and maintain the building. The French Revolution sounded the death knell for the splendour of the Caumonts, and the Château was abandoned. It was sold in the 19th century but sadly not maintained, which resulted in it being abandoned yet again by the new owners who had never shown any interest in the building. In 1850 two families shared the Milandes residence and changed the distribution of its rooms. Duc de La Force and Maréchal de France. this was a happy event for a castle on the verge of ruin! Subsequently, the building received an extraordinary transformation thanks to the enormous restoration work carried out between 1900 and 1914. With the help of architect Henri Laffillée, Charles Claverie restored the castle and added an entire east wing to which he attached a tower built on the ruins of an old watchtower. New towers, new accommodation, romantic balconies, the Château gained an amazing collection of sculptures, notably gargoyles and fantasy figures, their delicate execution worthy of the greatest sculptors. All the windows were restored, some of the stained glass dating back to the 17th century. Charles Claverie also built an ultra-modern winery and a farm to make Milandes an investment property. The winery, with its sober architecture, a mixture of Medieval and Renaissance overlooks the valley to the north. In 1908 he commissioned landscape architect Jules Vacherot, the chief gardener for Paris. The idea was to create a garden extending from the castle, “in the French style” surrounded by an English-style park. The castle 1898: The first transformation since being abandoned: the arcade gallery has disappeared.